We reject these outdated archetypes: starving artists or sellouts, cheapskates or spendthrifts, wielding silver spoons or bootstraps. Instead, we encourage our clients and community to revise their broken money stories while addressing the biases that shape them. Our definition of creatives is broader than just the fine artists or musicians that might immediately come to mind. To us, creatives are a much broader category of change-agents and visionaries within a range of industries: entrepreneurs who solve old problems in new ways, designers who shape our physical surroundings, academics who help us understand ourselves and the world. 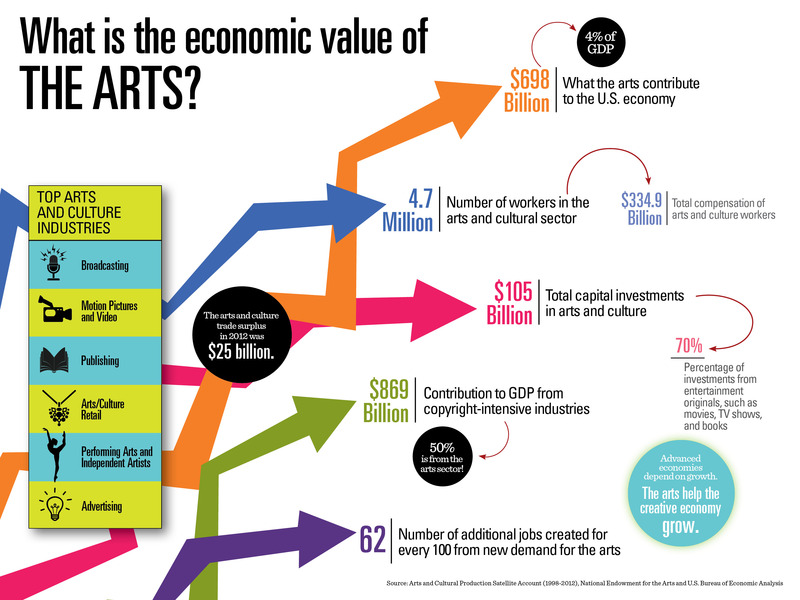 We also know (thanks to NEA research) that creatives aren’t broke, their efforts fuel $698 Billion or 4.32% of U.S. GDP, more than construction ($586.7B) or transportation and warehousing ($464.1B). Starving or sell-out: there is no middle way. You need to heroically starve in a freezing garret in order to be creatively whole. Or, you “sell-out”. You then need to spend your ill-gotten cash ASAP, so you can be creatively whole again. Creatives are bad at math, let alone money. Don’t bother saving or investing, it’s all math and way too complicated for your creative brain to understand. Don’t be different or you won’t be rewarded by American capitalism. Quit dreaming and get a real job. If you want to be successful, you can’t dress like that, have tattoos, be queer, a woman, a person of color. Over the years, I’ve found the opposite of these stories to be true. When creatives become conscious of these beliefs and stop letting them drive their financial behaviors, they blossom financially, grasping financial concepts faster than their CFO. As I’ve said before, the financial industry is built on a culture of conformity, so like most Americans, our peers in finance tend to believe these false stories about creatives. When they aren’t ignoring creatives, they are usually patronizing (see the stories above). If you were a creative, would you want to hire someone to manage your inheritance who considers you incapable of understanding their advice? Like most of us, Financial Advisors, CFPs, CPAs, and lawyers aren’t aware of their internal biases against creatives and visionaries, let alone women, LGBTQ, or people of color. Most importantly, the financial industry, as it exists today, won’t give creatives what they want and need. Collaborative, team-based financial life planning is time-consuming and therefore less profitable. It also necessitates conversations about more complicated topics than asset allocation or standard deviation. Progressive creatives do not have to be content with this reality. If we spend $8 on organic mustard made by a local farmer at a grocery co-op, why are we investing our savings with politically conservative businesses whose profits fund the desecration of what we hold most dear? We shouldn’t have to work with companies who openly or discretely demean our lifestyles and political beliefs, not to mention our desire for a meaningful relationship with our wealth. There is a better way - as investors we can hire fiduciary, fee-only, CFP, financial life planning, progressive firms (even B Corps) that have shown that they respect us and our community. We can drive the change this industry desperately needs.